The week that was in the world of BIM – for the week of January 3rd, 2016 – January 9th 2016. Lets start the first Roundup of 2016 off with a post from our old buddy the Revit Kid, on a topic that really should get more coverage – Family Type Catalogs. The B1M has put out a new series (beta) of videos just for BIM beginners, if that’s you they are worth checking out. The predictions for 2016 continues with this post from the ConAppGuru Blog. A similar post, this time from Synergis Blog, about 2016 Construction trends. It’s always nice to read a good Top 10 list, and this one from the “It’s Alive in the Lab” blog is no different. 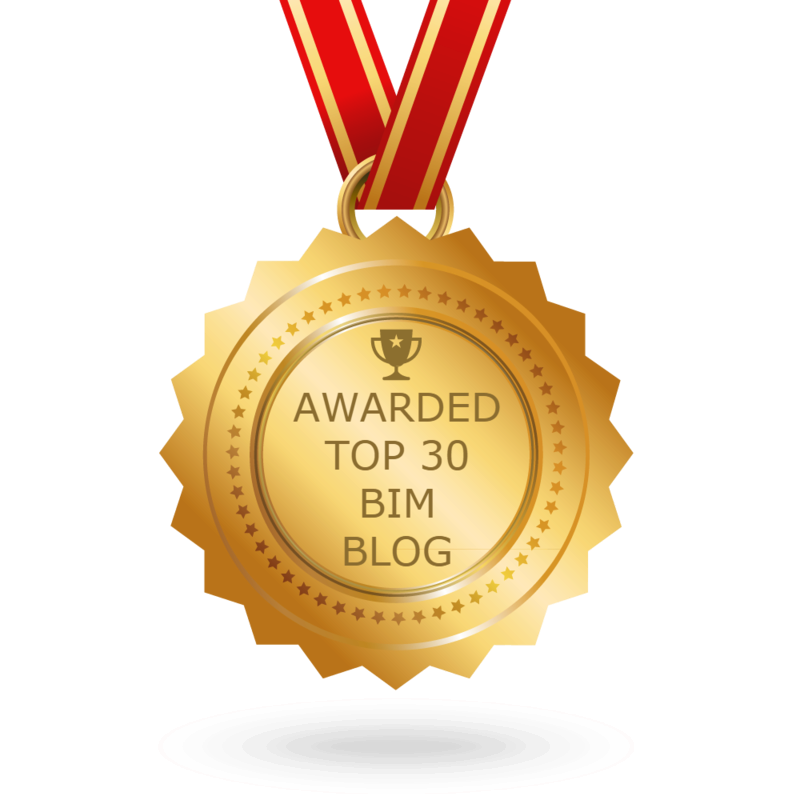 Still keeping with the 2015 review theme, check out the year that was 2015 for the BIM Freak. Here is another great year in Review post, this time from Revit Add-ons. This next post is also from Revit Add-ons, and it makes me happy! I get to work with Tim now! My New Role – Applications Expert, BSD with IMAGINiT! Its 2016 but we are still getting some reviews of AU 2015, check out this one from the Synergis Blog. Here is a post (and video) on how V-Ray for Revit works, from BIM & Revit World. How does V-ray for Revit work? Another post by BIM & Revit World this time about landscape architecture and BIM. Check out this post from sixtysecondrevit, about an update to the 3D room tag in his Rhythm package for Dynamo. More Dynamo fun, this time from Shades of Grey. I’m not a user of ProjectWise, but from this post by Extranet Evolution it looks like AECOM is BIG time. Here is all the news from the wonderful world of RTC, from the RTC News blog. Time to take the Blinders off, check out what I mean over at the AUGI Library. What do you think about doors and rooms, or rooms and doors……..learn more from Revit OpEd. Here is some more Revit wisdom from Steve over at Revit OpEd. Lets see what like from What Revit Wants has for us this week. Here are 3 more posts about simple uses for Dynamo from a new to me blog, Revit in Plain English. Now for a post from the IMAGINiT Building Solutions Blog about Revit Worksets. If you are heading to the RTC Australasia event in May, then you should check out this post from the Parametric Monkey about his class “Grasshopper to Dynamo: There and back again”. Lets take a look at the first Guru’s Gathering’s for 2016, from the ConAppGuru Blog. The January 2016 edition of AUGIWorld is out, head over to AUGI to get yours. So do you know how to spell “Concatenation”, better yet what does it do…..head over to RVIT to find out. Here is a new post from Mickael Kilkelly over at ArchSmarter about a new macro he has made for Revit to duplicate views. Here are 2 more parts of a 10 part series on creating loadable families from Club Revit Blog. Now time for a tip about Scopeboxes, from Daniel and Autodesk AEC software blog. If you have been working with the FormIt 360 plug-in for Revit, make sure you have downloaded the latest version (1.8) in 2016. Find out more over at the FormIt 360 Blog. This week Autodesk announced that C4R (A360 Collaboration for Revit) was going global! Learn more in this post from Sean Burke over at his blog Paradigm Shift. Here are a couple more post from Tim over at Revit Add-ons about a couple new add-ons. If you have been waiting for a Revit Shared parameter file editor…….well wait no more, and head over to RevitNetAddinWizard. Now for a few good posts from Revittize. Now for something a little different from The Building Coder. If you haven’t done any playing with Memento yet, then you should check out these post from the Revit Saver. I had to add these to posts to this weeks Roundup, I’m with the titles how could you’re not! (Through the Interface). I will end this weeks Roundup, the first of 2016, with some of the biggest news in Tech this week……you can now pre-order Oculus Rift! (Popular Mechanics).